ZA have a new gift with purchase offer beginning at select Unichem and Life Pharmacies and independent ZA stockists today. From the 2nd of March until the 29th of March you'll receive a limited edition oil blotting paper pack free when you spend $40.00 or more! So I thought I'd share just a few (heehee) of my favourites from the brand. I've now got five of these beauties and I haven't yet met a shade I don't like. They're glossy, hydrating and wear for hours. If you're prone to feathering, do layer the darker shades over a lip pencil just in case, but the feathering I experienced with the darkest shade I own, RD555, was pretty minimal. The pictured shade is BE222. These are really nice blushes (or in June Bride's case, a highlighter) for the price - $20NZD. They have a soft but not overly powdery texture and buildable colour pay off. June Bride looks like it could be dupey for NARS Albatross, though I don't own that one to compare - you can see my review for June Bride here and Pink Petal is in the works! I have so much love for ZA brow pencils! My very first brow pencil was the now discontinued ZA Everbrow pencil in the shade BR21. The formula's only increased in awesomeness since then. I use the shade Honey Brown in the new range, and my mum, mother in law and sisters all used other shades from the line for my wedding. They offer great colour pay off and long wearing defined brows. True White Instant Brightener - I raved about the subtle highlighter and makeup base in my review in January and it's still in heavy rotation. Think of it as ZA's answer to MAC Strobe Cream. I'm currently enjoying mixing it with my foundation for a glowing but still medium-full coverage base. And of course I couldn't do a Best Of ZA list without mentioning my current favourite liquid eyeliner. Although I initially received this to review (review here), I've already bought a replacement, which is sort of the true test of a beauty blogger's love for a product, don't you think? I love how fine the tip is, the glossy opacity and that it doesn't crease or crack. Try it out, you won't be disappointed! 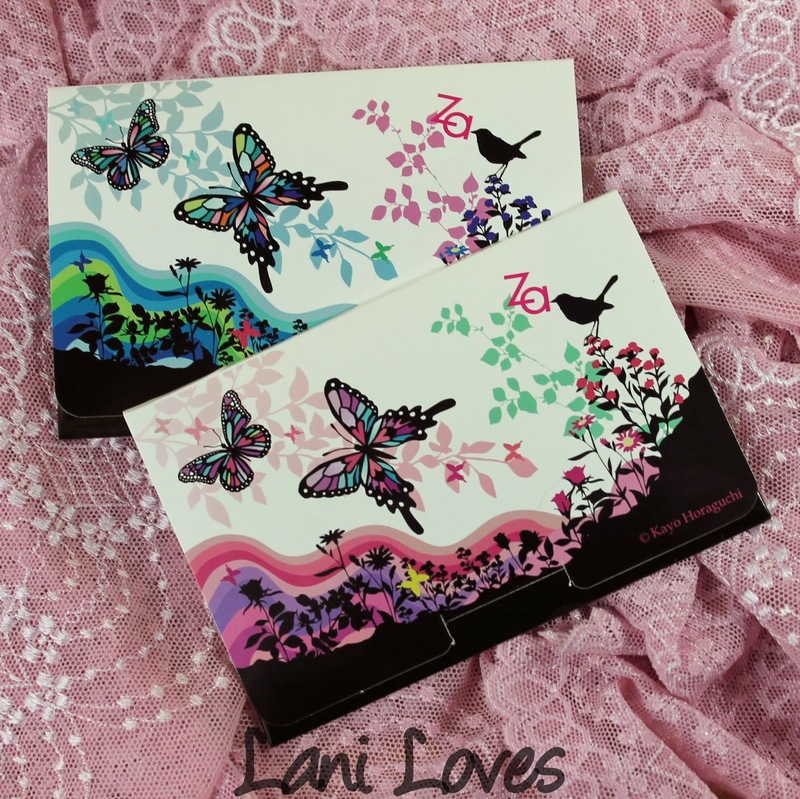 And a better look at the very cute blotting papers up for grabs with this GWP. I don't typically find myself getting oily during the day to day, but when I'm shooting a lot of lip swatches under hot studio lights these come in handy for sure! I didn't even realise how oily I was getting until I tried one and wow... if you've ever tried blackhead nose strips, these offer the same disgusting satisfaction :D Great for chucking in your purse and the limited edition artwork is so pretty! For a limited time only, while stocks last. Qualifiying purchase must be made in a single transaction. Clearance items cannot be counted towards the qualifying purchase. Not in conjunction with any other offer. One gift per customer. Will you be taking advantage of this GWP?